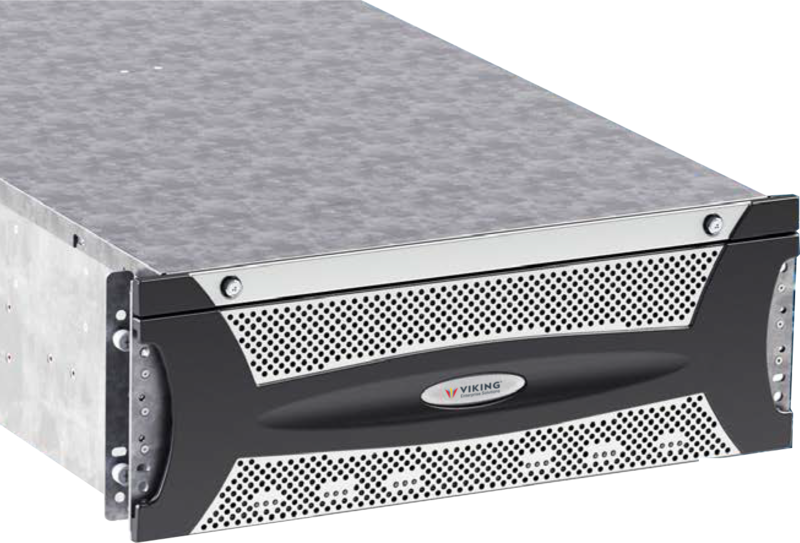 Viking Enterprise Solutions (VES) HDD optimized Server & Storage platforms are designed for applications requiring large capacity storage such as storage expansion solutions, primary & cold storage, archival storage, and video streaming. VES provides Cloud Service Provider and Storage Server OEM customers with advanced data center products including off-the-shelf and customized platforms with superior performance, density, reliability, and capacity. With over 25 years of Enterprise customer experience and expertise in supporting some of the world’s biggest OEMs, Viking Enterprise Solutions has extensive capabilities in supporting all datacenters, hyper-scale, and cloud requirements & support levels. Viking Enterprise Solutions (VES) distributed RAID (DRAID) technology provide up to 20% better I/O performance and from 2.5 to 1000 times faster array rebuild rate compared to traditional non-distributed RAID arrays. 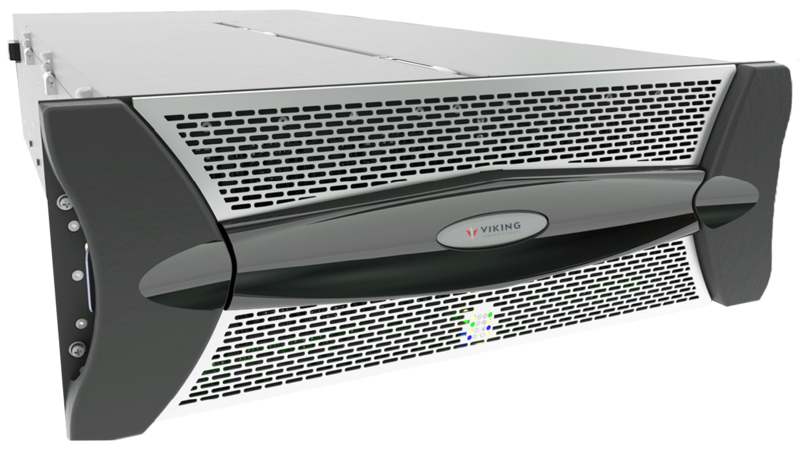 The Viking Enterprise Solutions (VES) NSS-1080 is Intel Xeon D-154X based system which offers up to 86TB of capacity with spinning LFF drives and SFF SSDs. It is designed to fit in a 2 post or 4 post rack, it can be deployed at edge points of the network for minimizing network load. 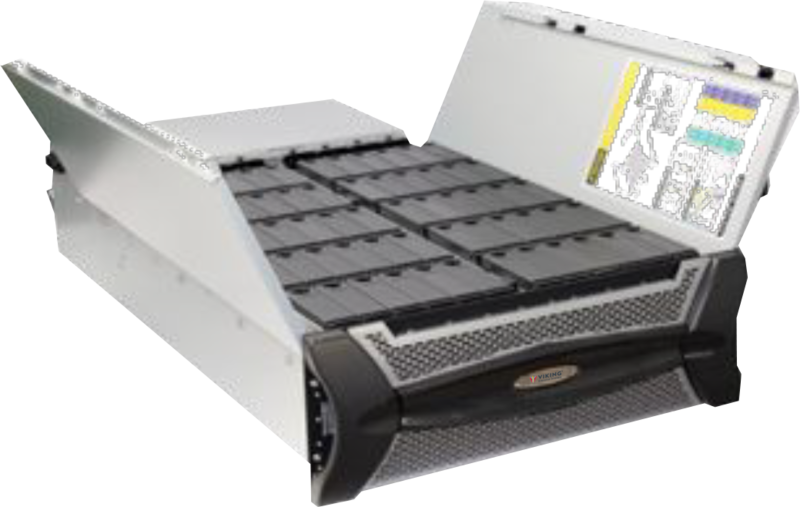 The Viking Enterprise Solutions (VES) NSS-2340 is Intel Xeon E5-2697v4 based system which offers up to 250TB of capacity with spinning LFF drives and SFF SSDs. It is designed to fit in a 2 post or 4 post rack, it can be deployed at edge points of the network for minimizing network load. The Viking Enterprise Solutions (VES) NSS-4602 High Density Storage Enclosure enables 3.5” or 2.5” SAS/SATA hard disk drive (HDD) and solid state disk (SSD) device connections in a mixed environment. Target device communication and management is enabled via standard serial attached SCSI (SAS 3.0) protocol with enclosure services linked via SES firmware. The enclosure can be configured as a JBOD or NAS. The NDS-4900 fits into an industry standard 19” wide by 1.2m deep rack. Its flexible configuration allows it to be deployed in a variety of applications. The Viking Enterprise Solutions (VES) NSS-HW2EB and NSS-HW1EB Storage Server Modules are high performance dual Haswell/Broadwell-based enterprise class server modules designed for the 12G SAS 4U90 LFF JBOD chassis. NSS-41000 can be deployed in a private or public cloud and can be implemented with Erasure coding technologies or in RAIDed environment with dual socket E5-2600v4 processors. 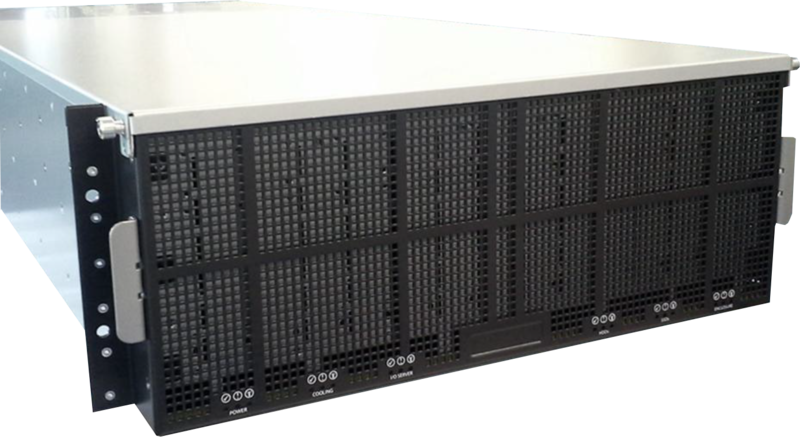 The NSS-41000 fits into an industry standard 19” wide / 47” deep rack. The Viking Enterprise Solutions (VES) NDS-41020 High Density JBOD packages 102 3.5” hard disk drives (HDDs) at 12Gb/s. The enclosure contains two active I/O Modules (IOMs).